Fruitless Pursuits: FPcast for November 16th 2015: Spectre! 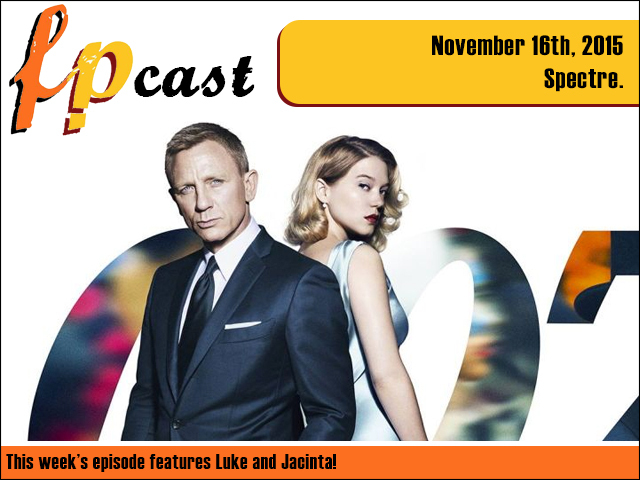 FPcast for November 16th 2015: Spectre! This week we review James Bond's latest adventure, Spectre, including a special spoiler section at the end where we gleefully swim around in its larger plot-holes. Plus we wildly speculate on all the latest goings on with our favourite (and not-so-favourite) celebrities, all while drinking beer in extreme heat. What could possibly go wrong! ?